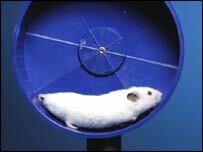 Three transplant patients in the US are believed to have died from a virus that originated in a pet hamster. A Rhode Island woman is thought to have caught the lymphocytic choriomeningitis virus (LCMV) from her hamster shortly before her unrelated death last month. Her organs were given to four people needing transplants. Three have since died as a result of the infection. The Centers for Disease Control and Prevention is investigating, but experts stressed LCMV is very rare. David Gifford, director for Rhode Island's state health department, said that, although donated organs were not routinely screened for rodent viruses, patients on the waiting list for organs should not be concerned. "This is an extremely rare and unusual event," he said. LCMV infections have been reported in Europe, Australia and Japan. But the CDC said it was only the second time it had heard of transmission of LCMV through organ transplants. Two people who received the woman's corneas have yet to be traced. The officials are carrying out further tests on the woman's hamster, which was found to be carrying LCMV. The virus typically causes only flu-like symptoms in humans and is transmitted by contact with the rodent's saliva, urine or faeces. However, transplant patients are vulnerable to more severe complications because their immune defence system is suppressed by the strong drugs they have to take to prevent their body rejecting the donor organ. Bob Corfield, a spokesman for UK Transplant, said there had been no recorded cases in the UK. Although Britain does not test for LCMV, he said the risk of infection was extremely low and that the current screening of donors for viruses was highly effective. "The organ donor's detailed health history is established. A person's recent travel history is also checked. "Blood tests are carried out specifically for Hepatitis B and C, HIV, CMV (Cytomegalovirus) syphillis and toxicology - a check to see if anything in blood that should not be present. He said transplant success rates were constantly improving with 85% of heart transplants, 87% of liver transplants and 93% of living kidney grafts surviving the critical first year. Despite these successes, he said there was still a chronic shortage of donated organs in the UK and urged people to join donor registers.